For TWENTY-TWO years, the dream of a few ambitious young bodyboarders in Pā‘ia maintains its status as a highlight event of Maui’s North Shore winter. The 22nd Annual Pā‘ia Bay Beachfest is a fun and family-friendly showcase for Maui’s young bodyboarders and surfers to boast their style, tricks, and barrel-riding aptitude. 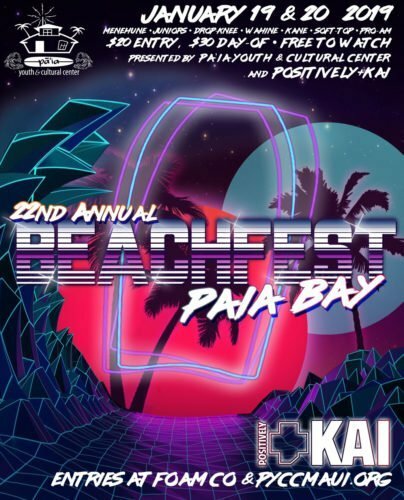 Beachfest is held on the beach at the Pā‘ia Youth & Cultural Center, and will take place on Saturday January 19th and Sunday January 20th, 2019. Beachfest is made possible by Kai Lenny, Marlon Tumacder, PYCC alumni, community members, and PYCC staff. This event is the only one of its kind at Pā‘ia Bay and is a tradition for three generations of Maui board-riders. This is the biggest event at Pā‘ia Bay and attracts competitors and spectators from around the state! Beachfest features many special guests, including world-champion waterman Kai Lenny, world-renowned Kainoa McGee, and a few special guests and surprises! There are two new surf divisions this year that replace traditional shortboarding events: (1) Soft-Top Shootout and (2) Short-Board Expression Sessions (both divisions are for youth). Local food vendors will offer food to spectators to raise funds for the PYCC. Event pre-registration is done in-person at the PYCC. The event is $20 to enter before event day, $30 to enter on event day, and free to watch! Day-of event registration begins at 7:00am and ends at 9:30AM on January 19. The first heat is in the water at 8:00am following the event blessing ceremony. Competitors are treated to a delicious plate lunch prepared by the youth of the PYCC Pā‘ia Bay Café program, and will also receive a collectors tee-shirt and sponsor swag-bag. Hats and shirts will also be on sale to the public as a fundraising effort for the PYCC. A typical year can exceed 100 competitors, which makes it a very exciting and action-packed event for everyone in the ‘ohana to enjoy. Divisions include Menehune, Juniors, Wahine-only, Kane, Drop Knee and the all-new Soft-Top Shootout event encouraging youth to compete for style on a variety of foam surf-boards. Additionally, there will be a cash-prize Pro/Am division for all ages on Sunday, and several expression-sessions for surfers during breaks throughout the weekend. DJs and live music will also be featured throughout the weekend to keep the positive vibes going! The event concludes with an awards ceremony on Sunday afternoon. Thanks to the generous support of Positively+KAI, VS, Nike, GoPro, Hubb-Boards, Hi-Tech, the FOAM CO and many other local sponsors, competitors will have the chance to take home some incredible gear and prizes. 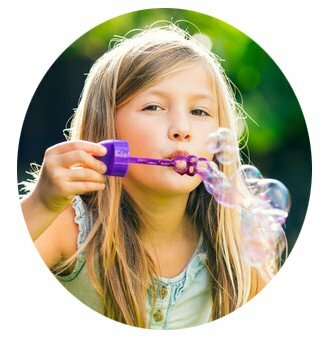 This is an alcohol, drug and tobacco free event for the whole family. 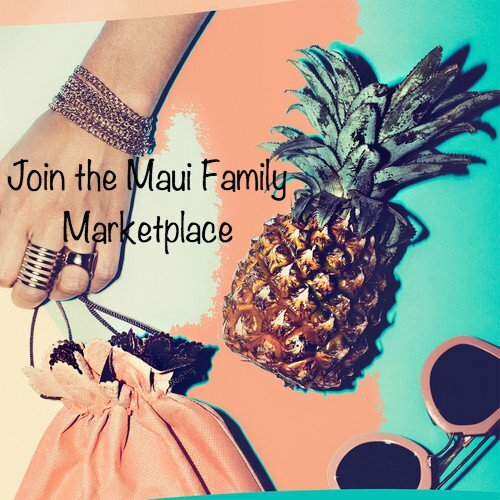 For more information about the Pā‘ia Youth & Cultural Center, to learn more about sponsorship opportunities or to download an entry form for BEACHFEST, visit www.pyccmaui.org. The Pā‘ia Youth & Cultural Center has provided services to Maui County since 1993 in an effort to realize it’s mission, “Building Community Through Our Youth.” Programs are guided by traditional Hawaiian values. The facility itself is shaded among the tall palms and ironwood trees lining the beach of Pā‘ia Bay and is a sanctuary for hundreds of Maui’s youth. 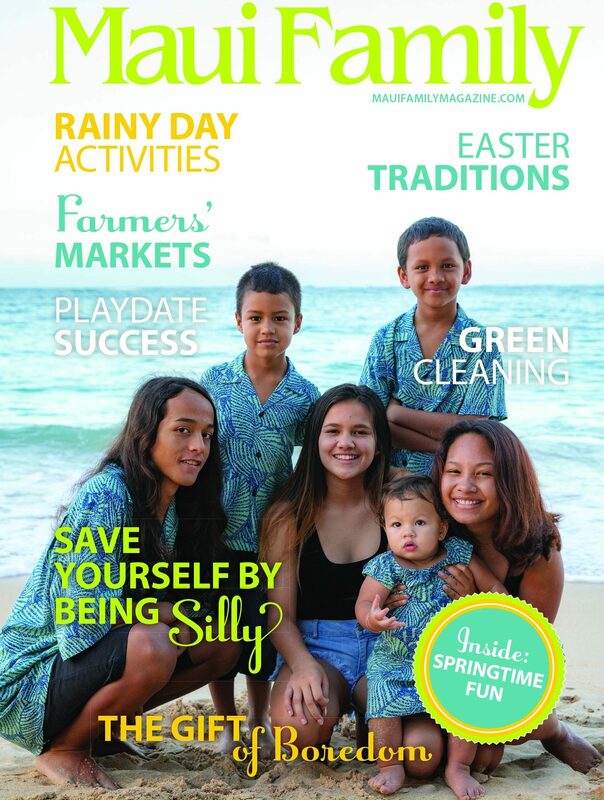 The Pā‘ia Youth Council, Inc., which operates the Pā‘ia Youth & Cultural Center, is a 501(c)(3) non-profit corporation funded by grants from the Maui County Department of Housing & Human Concerns, the State of Hawaii Office of Youth Services, private foundations, community donations, and fundraisers.